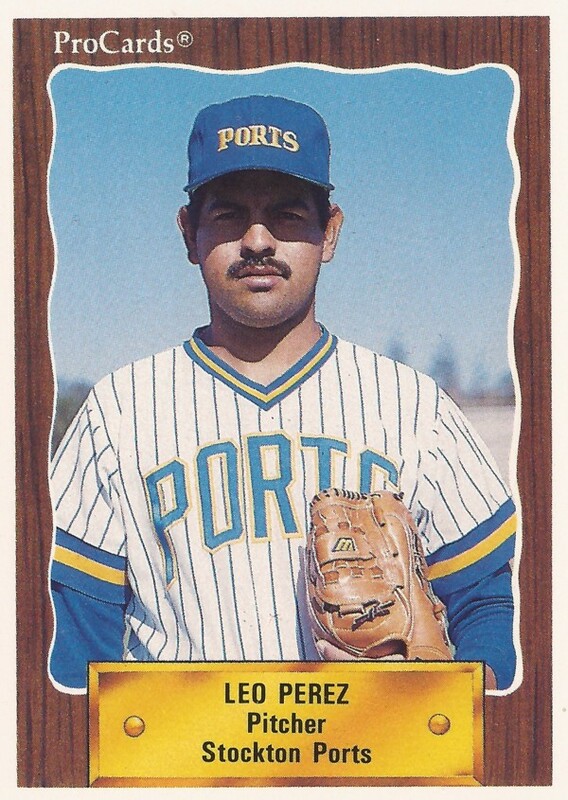 Leo Perez' season at single-A Beloit in 1988 was a good one. The Brewers farmhand went 10-8 in the Midwest League, starting 17 games. His ERA, though, was sterling, posting a 2.05 mark with 124 strikeouts in 122.2 innings of work. It was enough to get him on the Brewers' 40-man roster going into spring training 1989. But, for Perez, it wasn't enough to get him to the majors. 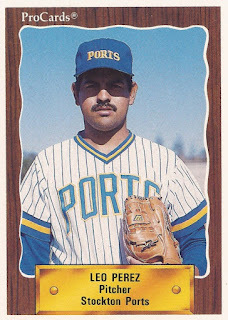 Perez played in four seasons of affiliated ball, never getting above high A.
Perez' career began in 1987, signed by the Brewers out of his native Mexico. Perez played that first season at single-A Stockton. He got into two games in relief, giving up four earned runs in 4.1 innings of work. In 1988, he hit single-A Beloit, having that season where he gave up 28 earned runs, including six home runs, in those 122 innings of work. He also had five complete games, tying for the league lead. He also lead the Midwest League in strikeouts, wins and ERA. That season in 1988 also proved to be Perez' only complete season. Going into 1989, Perez reported knee soreness. Recovered enough to play, Perez went 1.1 innings in one spring game, not giving up a run. But, during the season, Perez returned to Stockton. He also only got five starts, without a decision. He got another five starts at Stockton in 1990, then two outings back in rookie ball in 1991, finishing out his affiliated career. Perez was later credited with playing in the Mexican League, including from 2000 to 2003, playing mainly with Cordoba and spending time with Veracruz.